I think felt is one of the most versatile craft mediums. These little pieces are quick creations that I have made to decorate the house. The fish was for C to congratulate him on catching one of the smallest fish I have ever seen. 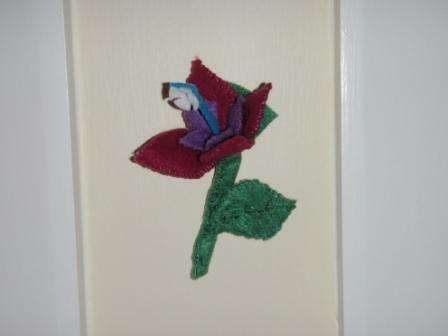 You can really make anything from felt, it's cheap and easy to use. Just perfect your blanket stitch - mine still needs some work - and open your imagination. One of the most talented felt crafters is threadmark, take a look at her blog. Nice blog Alice! Diggin it though there's a very small chance I will actually ever sew much of anything.